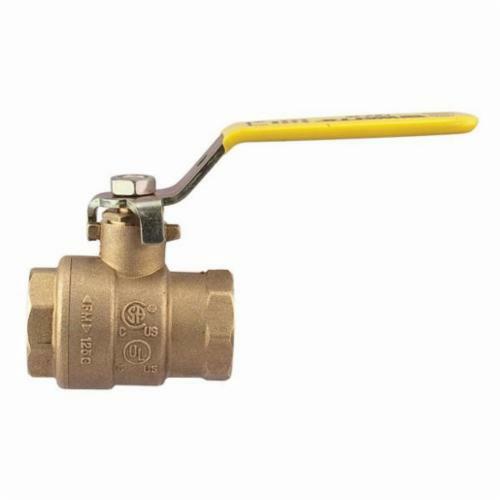 Series FBV-3C, FBVS-3C 2-Piece, Full Port, Brass Ball Valves are used in commercial and industrial applications for a full range of liquids and gases. They feature a bottom-loaded blowout-proof stem, virgin PTFE seats, thrust washer, and adjustable stem packing gland, stem packing nut, chrome plated brass ball, brass adapter, and steel handle. Model FBV-3C has threaded end connections. Model FBV-3C-TH has tee handle with threaded connections. Model FBVS-3C has solder end connections. Model FBVS-3C-TH has tee handle with solder connections.